The globally successful Intersolar and ees (electrical energy storage) summit format will come to France on 24 October as ees & IBESA Summit France. 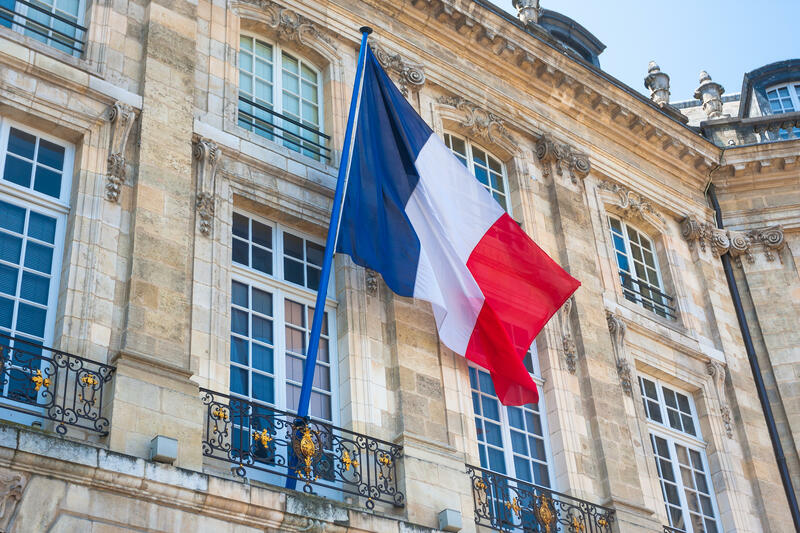 It is meant to draw more attention to the French renewable energy market by bringing together the major decision makers of politics, utilities and industry. Solar Promotion International, Freiburg Management and Marketing International GmbH (FMMI) and the International Battery & Energy Storage Alliance (IBESA) teamed up to bring the event format, which has been successful in the USA, Latin America, and the Middle East , to the Centre De Conférences de L’aar in Strasbourg. The ees & IBESA Summit will provide in-depth education, enable high-quality networking opportunities, expand the use of all energy storage technologies on both a national and regional level and strengthen local energy storage industry. Bonn/Pforzheim/Strasbourg, August 3rd, 2018. A major topic on President Macron’s agenda is decreasing the nuclear energy production by 25% over the next seven years. This requires massive investments for residential energy efficient measures, smart metering, transmission and distribution of electricity. Hence, energy storage will play a vital role within this process. According to EuPD Research, France installed a total of approximately 23 MWh of energy storage in 2017 of which the lion’s share was generated by utility scale projects. However, also the residential segment is showing a surging demand – with more than 2,000 systems to be installed in 2018, which marks a growth of over 40% estimated as compared to installations in the previous year. In view of these positive developments and France’s role among the top four European energy storage markets, it was an easy decision for the three partners Solar Promotion International, FMMI and IBESA to come and put together an event that will benefit from the great potential that France still has in the renewable energy sector. TRION-climate, a Franco-German-Swiss network of energy market operators in the tri-national metropolitan Upper Rhine region, co-organizes the summit. “A constantly changing and highly dynamic business environment requires innovative solutions to successfully compete in the marketplace and create a vibrant energy storage market. We have succeeded with our event concepts all over the world, because we adapt the framework of our events both to the country-specific market, the customs and the mentality,” says Daniel Fuchs, Vice President of IBESA. The increasing share of fluctuating renewable energies, especially PV and wind energy, will present growing challenges for Europe`s electricity grid infrastructure. “Today we observe increasing markets for stationary storage applications in residential, commercial and utility scale as well as a boom for the electrification in the mobility sector all over Europe. Planning for investments in battery cell production plants e.g. in Germany are the right way to enlarge the economic added value for energy storage solutions in Europe”, adds Tina Engelhard, General Manager of Solar Promotion International GmbH. Solar Promotion GmbH and its subsidiary Solar Promotion International GmbH organize global exhibitions and conferences in the fields of renewable energies and energy efficiency. The portfolio includes events for the areas of photovoltaics, PV production technologies, energy storage, smart renewable energy, solar thermal technologies, solar architecture, energy efficient buildings and the use of biomass in power generation. ees Europe is one of these events and the continent’s largest, most-attended and most international exhibition for the battery and energy storage industry. It serves as an industry platform, bringing together manufacturers, distributors, users and suppliers of electricity storage systems, and takes place annually in Munich, Germany. Founded in 2013 IBESA is still well on track regarding emerging markets around the world and is now coming up with an updated concept to satisfy the actual requirements of our Partners. IBESA offers a worldwide network, contacts along the value chain of different business sectors, exclusive high-quality market research know-how as well as the complete marketing and public relation package – based on a long experience in business. FreiburgManagement and Marketing International GmbH (FMMI) is owned and operated by the City of Freiburg and founded with the aim of promoting international cooperatives and organizing trade exhibitions and conferences relating to the economy, tourism, the environment and international city partnerships, at the behest of the City of Freiburg. “Green City” Freiburg” is marketed worldwide to describe Freiburg’s decades of expertise in solar technology, renewable energies and sustainable urban and traffic planning. FMMI’s international activities strengthen and promote Freiburg as an economic hub.